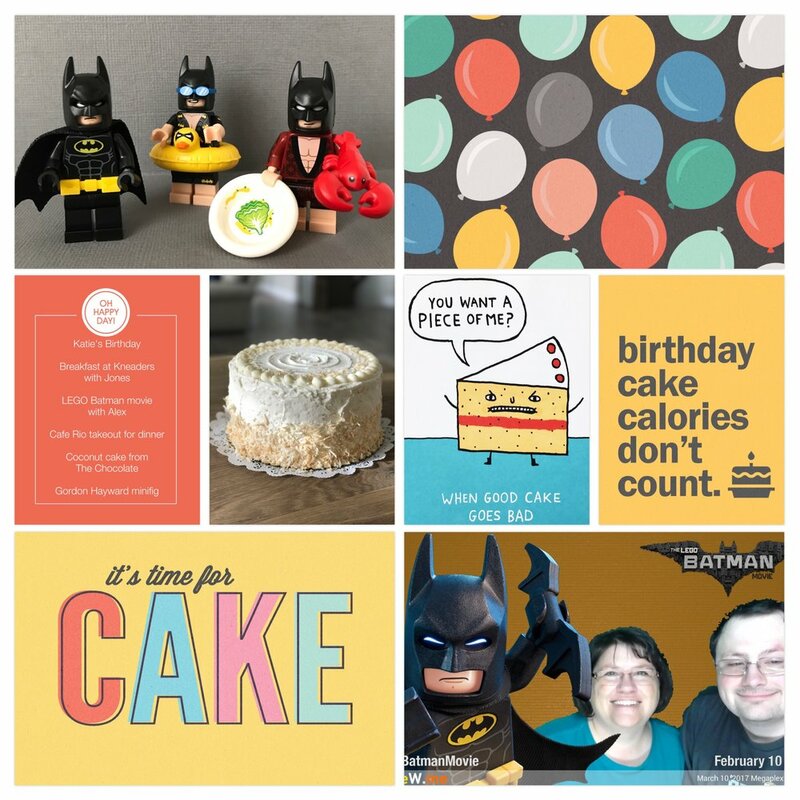 I went almost 2 months without creating a single scrapbook page. I knew I would be able to pick it right back up though once our summer was over because I have a comfortable and easy process in place now. I do most of my scrapping in the Project Life App these days. Even when I create a page digitally in Photoshop Elements, I keep it simple and use templates. I feel very happy with the way I scrap these days. In fact, it really doesn't feel like "scrapbooking" but more like creating collages and putting together memories. I started working on pages last week and I've already created at least 25 layouts. I'm not going to share most of them publicly because I've included a lot of personal details but I do have some pages that I wanted to post here. I'm hoping these will encourage you with your own documenting process and help you realize that simple pages can be satisfying and visually appealing. Best of all, they mean the world to the people on them! 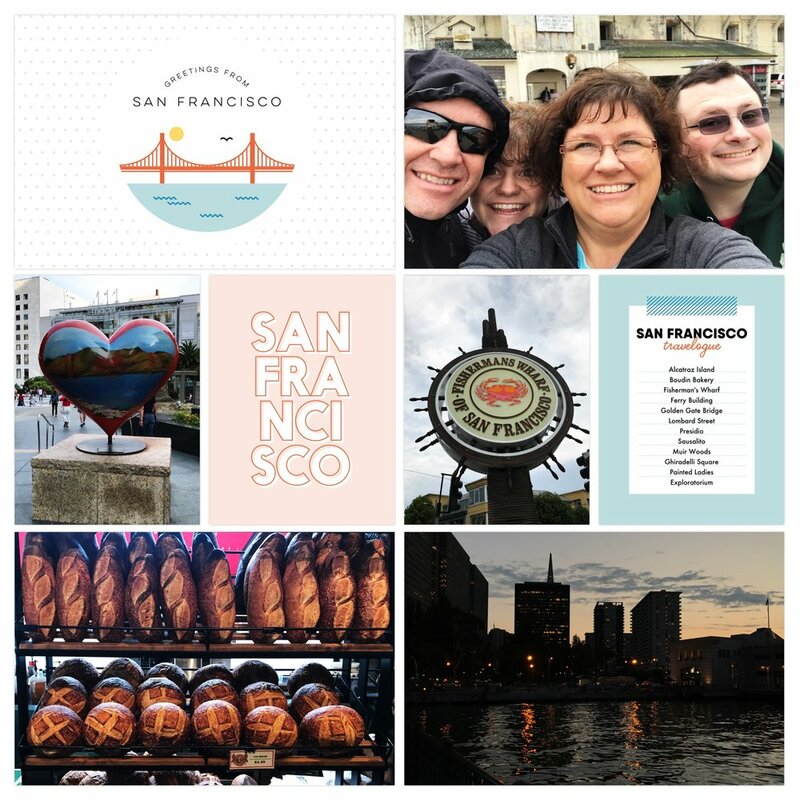 2017 family trip to San Francisco. Page created in Project Life App. Cards from In A Creative Bubble. Journaling done in Letterglow app. My birthday in March of 2017. Page created in Project Life App. Cards from Peppermint Creative. I also took a picture of the funny birthday card my brother sent me and used it on the page. Christmas season 2015. Page created in Project Life App. Framed cards from Collect App. 1997 swimming party in our backyard. Page created in Project Life App. Cards from Fine & Dandy edition (in app purchase). None of these pages took me very long to complete, but they all are very special to me and my family. I hope this inspires you to have fun with some of your photos (no matter how old they are). Let's get scrapping!